How to get to the city of Cusco? City Tour Cusco Half Day! Discover the mysteries of the Inca capital and most tourist city of Peru! You should take into account some practical tips, which will help you “get to the city of Cusco” and take the trip in the most complete and comfortable way, do not miss the opportunity to explore the imperial city of Cusco as it should and without haste. Distances and travel times are not so great in Peru; However, geography demands that drivers take things in stride, and it is certainly the best way to travel a destination like Peru. How to get to Cusco? Then we will give you the steps to follow to get to Cusco from abroad. The first step to reach Cusco is to arrive in Peru; The international flights that come to Peru arrive in the city of Lima. From this city; Known as the “city of kings”, can board a plane to reach Cusco in about 55 minutes or take a bus, which due to the rugged geography of Peru, will take about 20 hours of travel. Unless you arrive from nearby places to reach Cusco in Peru, you must first arrive in the city of Lima (Peru), at least if you come from Europe or North America. Peru is the third largest country in South America with a total area of 1,285,220 square kilometers, and has a modern international airport in its capital, considered among the best in South America. From North America there are direct flights to Lima, from the airports of the cities of Houston, Los Angeles, New York, Miami, Atlanta, New Jersey, Mexico and Toronto. From Europe you can arrive directly to Peru from airports in the cities of Madrid in Spain, Paris in France or Amsterdam in the Netherlands; Not many European cities with direct flights to Peru. The cities of Bogota, Rio de Janeiro, Quito, Mexico City, La Paz, Sao Paolo, Havana, Santiago, San Jose, Costa Rica, Buenos Aires, Caracas, Santo Domingo and Guayaquil also have nonstop flights to Lima Peru. People coming from countries in Asia or Oceania will have to make stops in the US. Or Europe, because there is no direct flight to Peru from cities on these continents. From the airport of Lima to the city of Cusco there is a distance of 1,165 km. And it will only take an hour if you decide to travel by plane; On the other hand, the bus trip from Lima to Cusco takes about 20 hours. Remember that the city of Cusco is a mandatory arrival point for people wishing to reach Machu Picchu. A flight from the city of Lima to the city of Cusco will take about 1 hour (55 minutes to be exact), flights from Lima and from any city in Peru, arrive at the International Airport Teniente FAP Alejandro Velasco Astete in Cusco; There are regular daily flights to and from Lima. From Cusco airport there are daily flights to Arequipa, Juliaca (Puno Lake Titicaca), and Puerto Maldonado (Tambopata), and to international destinations such as La Paz (Bolivia). 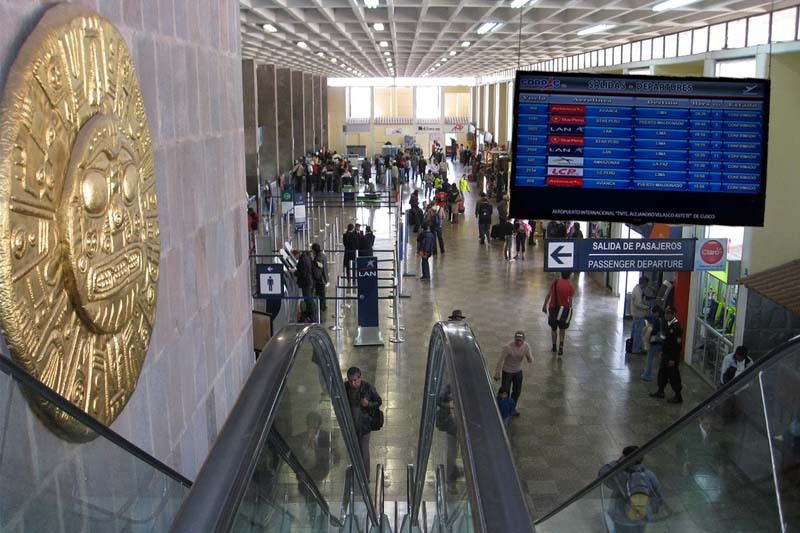 The airport of Cusco has; ATMs, restaurants, gift and souvenir shops, bookshops and a small medical center. On the outskirts of the airport you will find taxis to any part of the city. Train Routes in Cusco.- From Cusco you can travel by train the city of Puno on the shores of Lake Titicaca, the city of Arequipa and the National Park of Machu Picchu, so it is also possible to arrive to Cusco by train if you are in some Of the places mentioned. 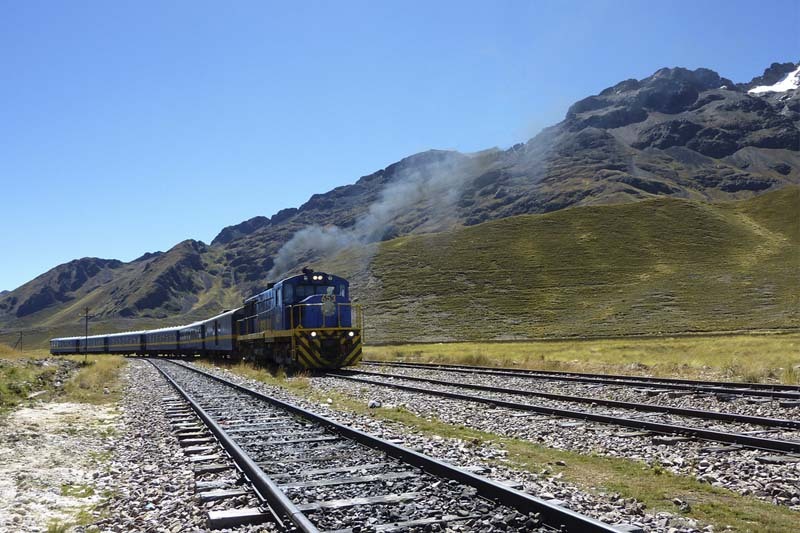 The train route from Cusco to Puno was awarded as the second most beautiful in the world. During the trip by train, you will ascend slowly to great heights. In the first half of the trip, you can enjoy the magnificent Andes mountain range, then you can enjoy the Andean plains, where you can see vicuñas and alpacas. The train to Machu Picchu leave the station of Ollantaytambo in Cusco, and the route through the Sacred Valley, is considered among the most beautiful short train routes in the world; However to get to Machu Picchu by train, you must book Machu Picchu tickets and train tickets in advance. You can get from Lima to Cusco by bus along the South Pan-American Highway, some people pass through the city of Arequipa during this tour: although you can get to the city of Cusco directly if you wish. 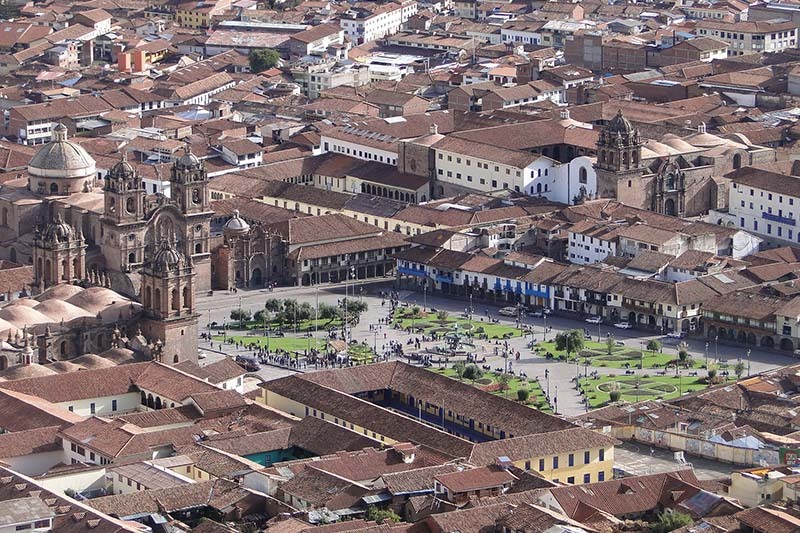 ← When to visit the city of Cusco?